Caracas (AFP) - Venezuela's armed forces declared "absolute loyalty" to President Nicolas Maduro on Tuesday, just two days before the socialist leader is sworn in for a second term of office. 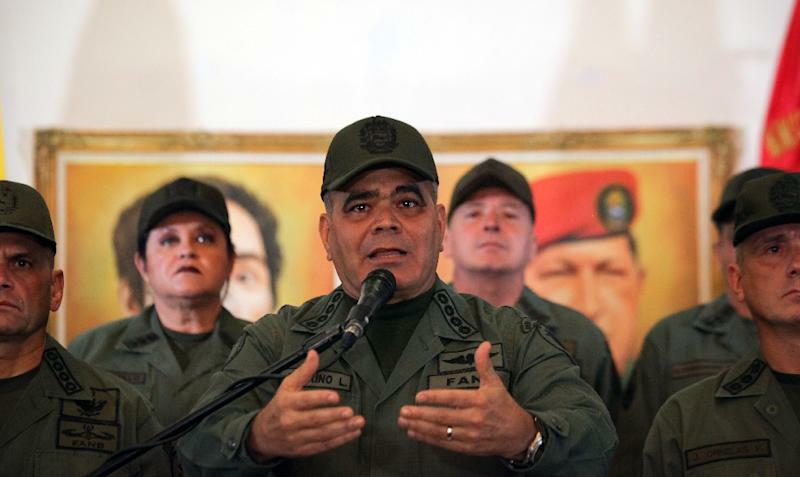 The armed forces issued a statement, read out to the press by defense minister General Vladimir Padrino, in which it declared "unrestricted support and absolute loyalty" to Maduro as president and "commander in chief for the period 2019-25." Maduro will be sworn into office on Thursday by the Supreme Court despite the country's laws stating this is the job of parliament. The opposition-controlled National Assembly has been rendered impotent ever since Maduro created a rival Constituent Assembly filled with regime loyalists last year to replace it. Although parliament still meets, all its decisions are subsequently annulled by the Supreme Court, made up of Maduro allies. Parliament has accused Maduro of being a "usurper" and announced plans to formulate a "political transition," but without the support of either the military, courts or other political institutions, lacks the means to do so.